I have been a long time user of Fritz 12 and use Komodo 8 and Stockfish 7 for analysis, but a while back decided I needed a program that is better suited for manipulating databases and doing opening research so finally settled on the Chess Assistant 16 Starter package. Game databases are essential for training, study, research and analysis. While primarily a database program, Chess Assistant offers a lot more than just a database management as it does game analysis, helps with tournament preparation and serves as a playing partner. It's available as a Starter package and in a Professional package and here I am concerned with the Starter package. The program can be purchased by download so you do not have to wait for a CD to arrive in the mail. Chess Assistant includes several databases of games. The most notable is the HugeBase which includes over 5 million games. These games can be updated from the site so that you can keep the database current. There is also a Guru database (slightly over one million games from 1807 to 2006) which includes games of the world's elite players plus a correspondence database (a little over 800,000 games) that includes games between top rated correspondence players from 1962 to 2014. The databases can be searched using a number of criteria: player name, opening, date, results and more. Also, you can search databases by not only exact positions, but those that are similar is, say, Pawn structure. Not all of the databases are games. For example, the Openings database can be used to study opening systems. This database also shows you the percentage of wins to losses and computer evaluations. Chess Assistant does more than manage databases. It includes several engines (Rybka 2.3.2w32, Crafty, Dragon, Delfi and Ruffian), but you can also add other engines like the world's strongest, the free Stockfish. Also, if you want to practice against Rybka you can adjust its “personality.” For example, you can make adjustments to the opening book it uses, its outlook (from very pessimistic to ultra optimistic), how fast it plays and how it handles it time. When analyzing games, analysis can be based on the amount of time the engine is allowed to use or by search depth plus the user can interact with the engine. It can also perform engine analysis in the background. This feature allows you to perform other tasks without interfering with the analysis. The program also includes limited guest access to the Internet Chess Club. If I have any issues at all, it's 1) the program does so much that the learning curve can be pretty steep. In order to help learn the features I created a couple of games that I put in a database named “Junk” so that I could experiment with different features without the risk of messing up anything. CA also has excellent documentation and you can even view videos online that show how to use the different features. 2) the appearance has limited boards and pieces and the way you can move the windows around is not really very flexible, but that's a rather minor issue. CA does offer a free download of additional pieces. 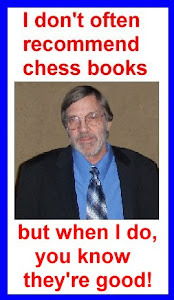 Personally, I downloaded from elsewhere my favorite pieces, those of Chessmaster. For the price, Chess Assistant is a great value and I have had experience with their customer service a few times in the past and would have to give them an excellent rating in this area. I can't say the same for their main competition. Whether you are looking for a program to play against, practice openings, middlegame structures, endings or perform analysis, or managed databases, then Chess Assistant is an excellent choice at a reasonable price.